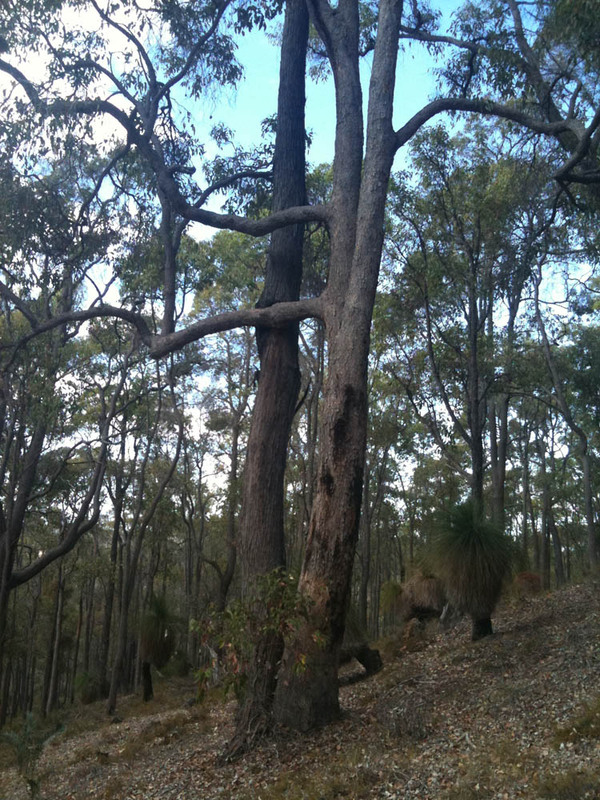 This jarrah and marri have grown up side by side and have now joined at the base. This seldom happens – usually after a few years one will outgrow the other and the weaker one will die. But not always – these two have allowed each other to thrive – and now share a lifelong embrace.